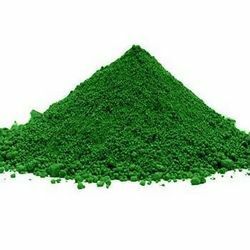 Leading Manufacturer of green organic pigments and prussian blue pigment from Vapi. Over the years of experience in the industry, we have been able to provide the customers with an astounding Chromocynine Green Pigment. Processed from Green Organic Pigments oxide, which is an amphoteric, inorganic compound, these chemicals are formulated in adherence with the international quality standards. 99% in purity and insoluble in water, our offered chemicals are hygienically packed, before dispatching to the customers premises. 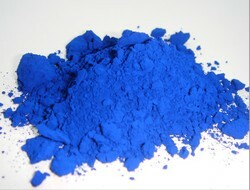 Looking for Organic Pigment ?